Hello Wednesday!! Did you love the dream bathroom curated by Beige is Dead inspired by the sleek Brizo faucet designed by Jason Wu for the perfect start for fall trend? I sure did and today, we have the fabulously talented Christine Dovey of Bijou and Bohome sharing with us her favourite decor trends for fall 2012. I love Christine for her incredible taste in fashion + home decor, and I absolutely admire her guts to make a statement with patterns and colors! Christine is always right and if I were you, I will be writing down her fall predictions. Hi there everyone...it's Christine here from Bijou and Boheme and I'm thrilled to be visiting one of my most hearted blogs...which is PS, written my one of my absolute favezies people. 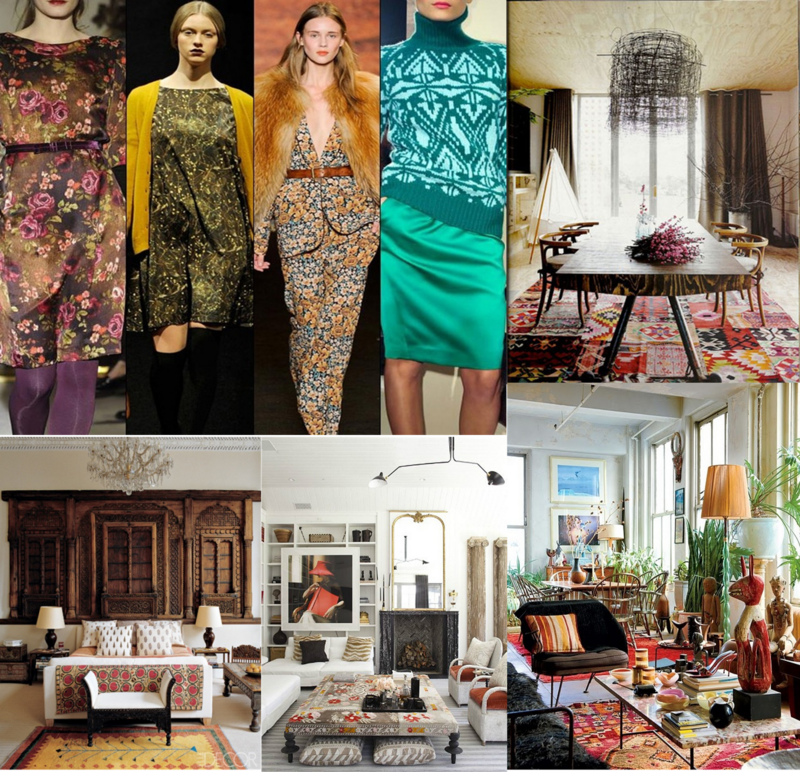 Today, I'm letting you in on my three predicted décor trends for fall 2012...all inspired by fashion and what's happening on this season's runway...namely luxury. ...I've admittedly never been a hug fan of this shade but I might be starting to see the light...it's rich and robust but manage to seem less hard than its cousin red...burgundy is bold without being brash and evokes the sense of glamour that's so hot right now. And speaking of luxury, nothing says that more than shiny metal. For fall, I see golds, silvers and coppers being used more than ever and in more daring applications. ...and finding a place on cabinets, islands and venting. I'm giving an enthusiastic high five to this brave development...love me some glamazon metal. ...think Persian rugs, bold patterns, one of a kind artifacts, dark woods and eclectic layered style. Fall 2012 is all about a collected approach that feels rich and bold...'tis not shrinking violet time. A big warm hug to Tim for having me today...such a treat. What a rich, glamorous fall season we get to embrace this year! 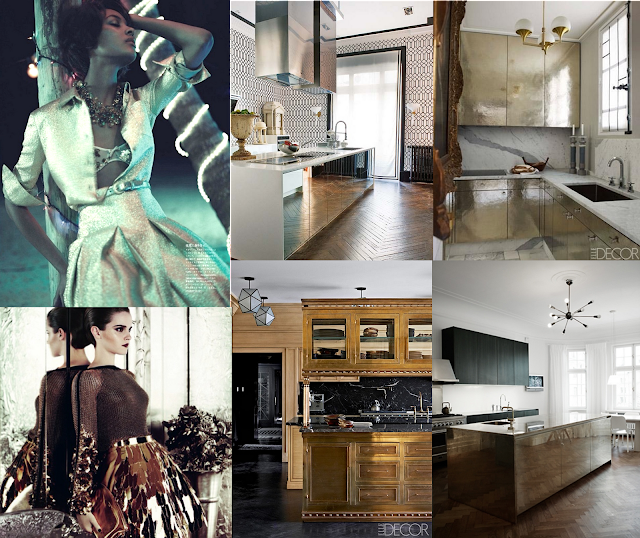 I love all three trends but if I have to pick one for my own home, I will have to go with the metallic touches. Love mixing warm and cool metal tones together for an unexpected twist. What fun and I love to hear what's your favourite trend for this fall. Kinda loving that beet/burgendy colour. So pretty!!! Wonderful post Christine! and I'm right with you believing in those trends. Great examples, and you know, we love you. I agree with Christine, I can see burgundy making a come back - a warm rich luxurious colour! I saw a pair of burgundy pants at Topman as well when I was in NYC ... too bad that size didn't work. Now I need to hit H&M before they are all gone! 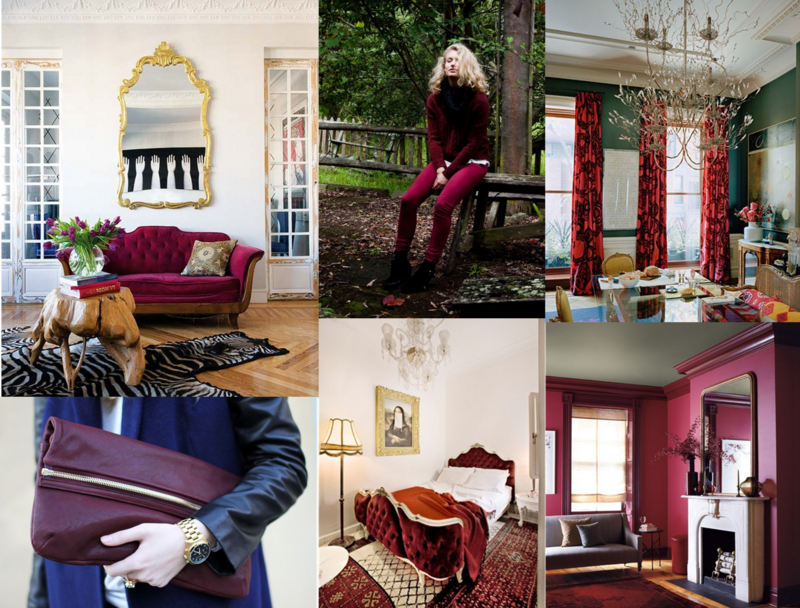 I have noticed purple everywhere-- but now that you shared that gorgeous burgundy board, I'm coming around. I think painting the trim burgundy helps! Great idea! I have never thought about that ... Thanks Abby!